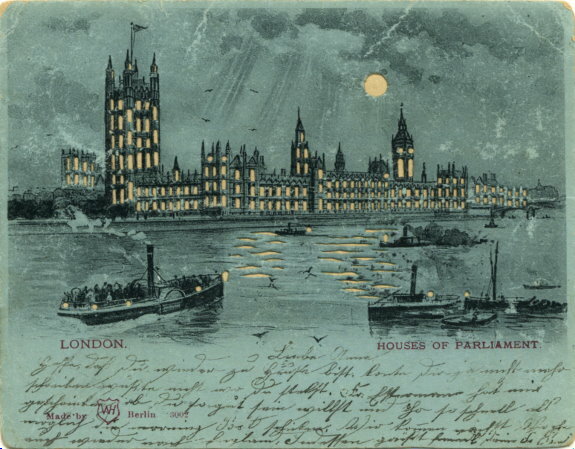 A postcard in two colours showing a view of the Mansion House and Cheapside in London at night-time. The postcard has been 'cut out' to show the lights in the building and also the moon. It was used from Munich on 23rd December 1899, with a message written on the picture side.